Our modern-day lives are fast-paced and over-programmed. We feel guilty if we are not filling every single moment with “meaningful” activity. We multi-task throughout the day, trying to check off a few more items on our “To Do” lists. In this whirlwind of tasks and duties, we can miss the most beautiful and renovating moments of life as we push toward our well-meaning goals. 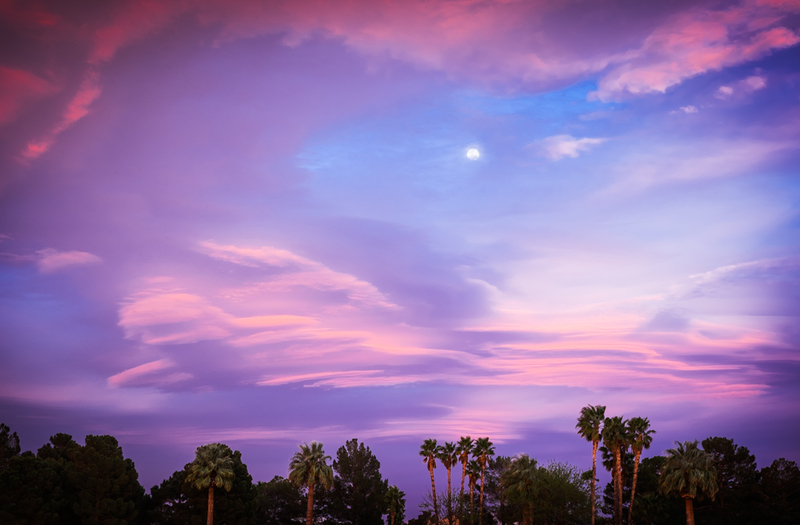 The beautiful sunset over the Las Vegas valley tonight was amazing. Early on the clouds were interesting, but only after waiting patiently did the vibrant, heaven-sent colors make their debut. What a reward for those willing to pause from life’s pressing responsibilities, thus allowing God’s beauty to envelop them! I saw the skys today as well!